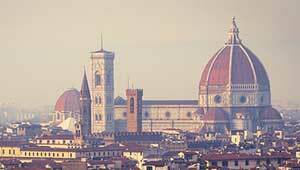 The EPPP research group collaborates actively with the Florence School of Regulation (FSR) water group (http://fsr.eui.eu/water).We are also involved in the organization of this series of conferences on the regulation of infrastructures since 2012. This event is organized every year by the FSR in Florence. The de- and re-regulation of the different network industries is an ongoing process at national and global level. As this process unfolds, ever new phenomena emerge, which call for a constant reassessment of the content and objectives of regulation. The question becomes even more challenging when looking at recent infrastructure development at the local level. Phenomena including (but not limited to) demographic changes, the rapidly evolving consequences of climate change and the evolution of Information and Communication Technologies (ICTs) have significantly challenged the traditionally stable landscape of urban infrastructure services provision. Providing traditional and new services in an innovative way is a growing trend among public authorities, traditional providers as well as new private prosumers and platforms for sharing economy. Both small and large agglomerations are seeking to become the so-called “smart cities”. However, together with great opportunities, disruptive innovations also give rise to new regulatory challenges,especially on infrastructure financing and management of future “smart cities”. This 6th Florence Conference on the Regulation of Infrastructures seeks to evaluate the major challenges infrastructure regulation is currently facing at the local level. We encourage contributions that link technology and institutions in more than one infrastructure sector. Contributions utilizing multidisciplinary as well as interdisciplinary approaches to regulation are welcome. Papers linking academia and practice, as well as policy research papers are particularly encouraged. The conference is intended for academics such as PhD students, PostDocs and Assistant/associate/full Professors as well as academically minded practitioners. Poster section will be organised. Social event on 15th June 2017; conference on 16th June 2017 in Florence (Italy). Papers will qualify for being published in the Journal Competition and Regulation in Network Industries, which is published by Sage as of 2017. A summary of the 4-5 best papers will have the chance to be published in the dedicated issue of the Network Industries Quarterly (Issue 19, Vol 3, September 2017). If you would like to register for this event, please send a short biography to fsr.transport@eui.eu. We will send you a registration link. Please know that spaces are limited.